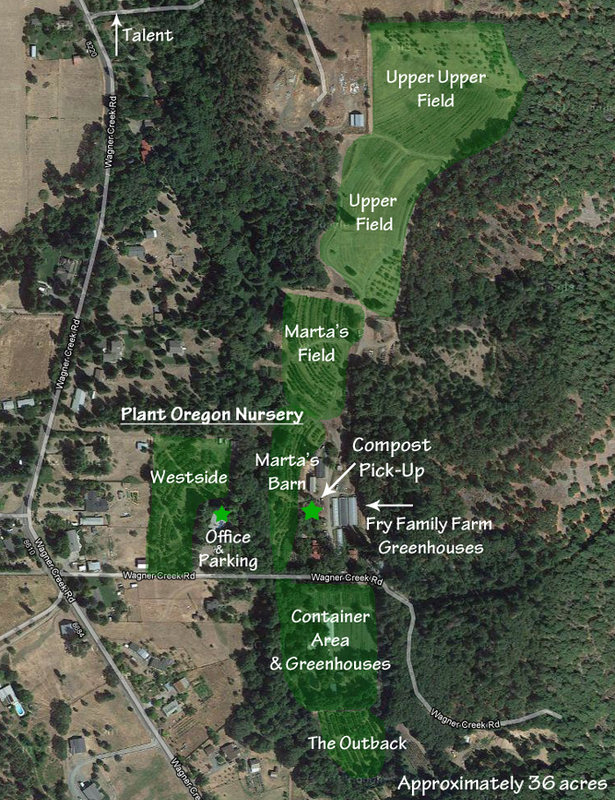 Plant Oregon is located in Talent, OR, about 20 miles north of the California border, near the 5 freeway. From the 5 fwy, take exit 21 towards Talent on Valley View Rd. Turn left on OR-99, and take the next right onto Rapp Rd. As Rapp curves sharply right, continue on as it turns into Wagner Creek Road and curves left. Stay on Wagner Creek road for approximately 2 miles, and the Plant Oregon driveway will be on the left, after a long row of mailboxes. (The Schoolhouse Retreat center, a large white building, is shortly before Plant Oregon on the right side of the road). Follow the long driveway down to the office, on the left before crossing over Wagner Creek. 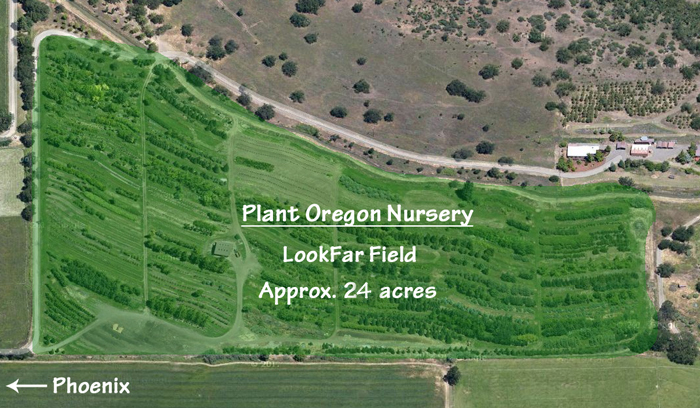 We also have another nursery field located in Phoenix, just a few miles north on the 5 fwy. If you would like to visit this field, you must first contact us to make an appointment... This field is where we keep our back stock of trees and shrubs, where they are planted in felt smart pots, and then they are planted into the ground, pots and all, in order to grow larger before being brought back to our 'show' fields in Talent.